The Friday morning breakfast club met this afternoon for coffee. It was our last time together until the end of August. As early as Tuesday we all go our separate ways for the summer. It was bittersweet, because I love these people so much and yet I am raring to get on with vacation. The weekend started out with a birthday party. Miss Tammy, my rainbow girl, turned the big 5-0 this week. There was a long table of us at Wyld’s Cafe in Bonita Springs to help her celebrate. 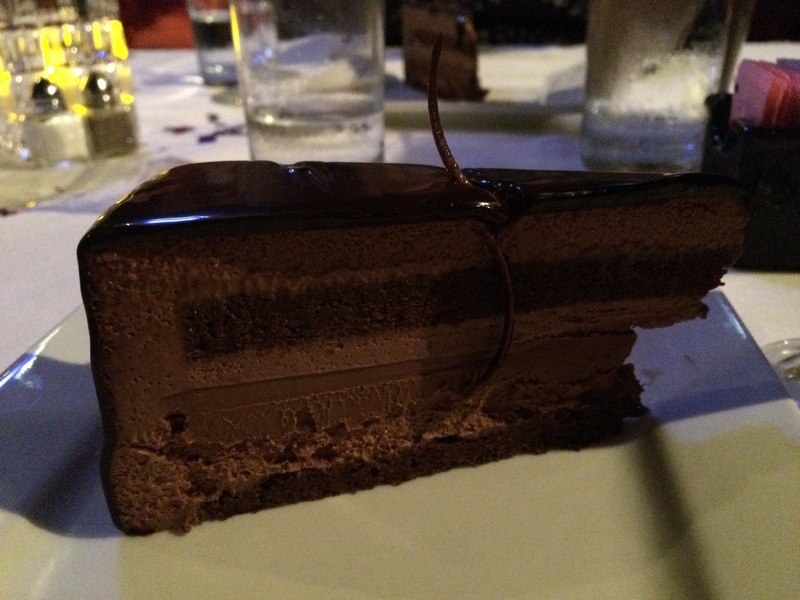 There was great food, fantastic company and a decadent chocolate cake from Norman Love to complete the night. Like I said, this afternoon we all met for coffee to say our goodbyes. Tammy is off to the Jersey shore for three weeks before she and Diane jet off to Peru to see Machu Picchu. Then later they will be joining family in Seattle and perhaps do an Alaskan cruise. Of course, Kosta and I are set for our trip to Europe. 18 days! And dear Cary will be stuck at home, keeping the breakfast table saved for us until we return. Don’t think we’ll forget you! There will be a special present for you, our keeper of the Eternal Breakfast Flame. Summer is going to be full-throttle, but so much fun. Before you know it the end of August will be here and everyone will be back. And I can’t wait to hear all about the adventures. Of course, our day was marred by the horrific news out of Orlando. I don’t understand why this keeps happening. I suppose my head does, but my heart cannot fathom why. All those fallen and their families are in my prayers. Other than that I don’t have the words to convey my heavy heart. The cake looks sinfully delicious. But, it may be too chocolately.